Please note, since this video was made, we have acquired Lydney Self Store and subsequently changed our name from Monmouth & Ross on Wye Self Storage to Self Store & More 🙂 Apart from the name change, everything else you see remains the same. Unlike traditional storage where you are required to hire a van or take multiple trips to the storage unit using your own vehicle, our mobile self storage service saves you time, money and effort as we deliver the storage unit direct to your door ready for loading. Once loaded, we will then return the storage unit back to our secure facility for safekeeping. There’s no need to hire, fuel or refuel a van, no need to load and unload twice or spend your time travelling back and forth to our storage facility. At Self Store & More, we appreciate not everyone has the necessary help to carry larger or heavier items, and that is why we also offer FREE assistance to help load your belongings into the storage unit, making sure it is safe, secure and ready for delivering back to our storage facility for safe keeping. Whilst in storage, access to your belongings is completely free of charge with direct vehicle access so, no matter the weather outside, you and your prized possessions will always remain dry and clean inside our warehouse when loading, unloading or simply sorting through what you have. 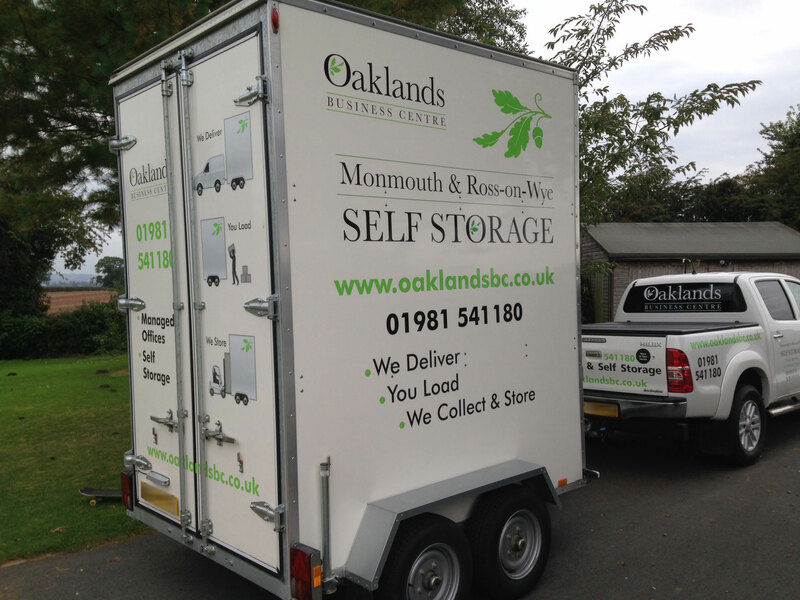 As with all of our services, our Mobile Self Storage is available 7 days a week so, whether you’re looking for storage because you’re moving home ,decluttering, renovating, travelling or needing to store stock, equipment or office furniture, we promise to provide stress free storage throughout the counties of Monmouthshire, Herefordshire, Gloucestershire and Worcestershire.